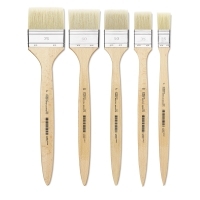 Renowned for their superior shape retention and long life, Utrecht Rhenish Pure Hog Bristle Brushes have been a favorite among artists for more than 50 years. 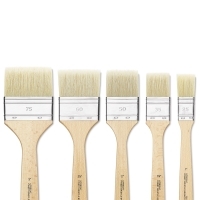 These brushes are constructed from hand-tied bundles of naturally curved, interlocked bristles with soft flagged tips. 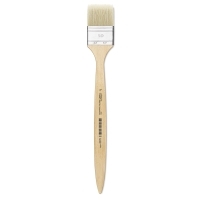 These tough brush hairs provide excellent paint-holding capacity — ideal for use with heavy-body paints. 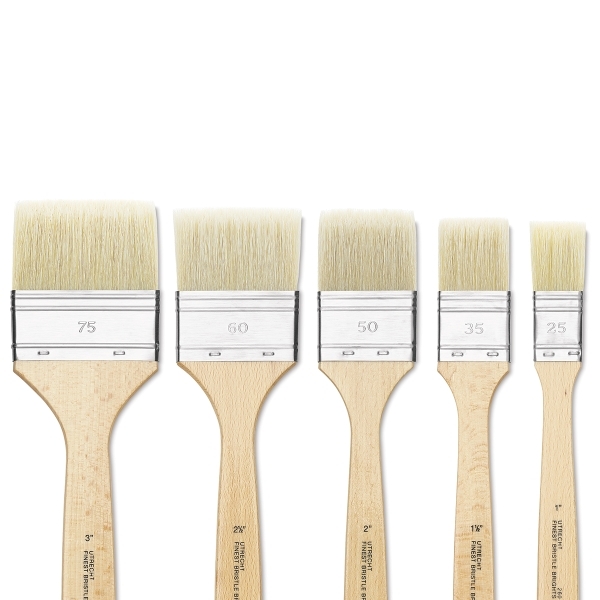 Every brush has a nickel-plated seamless ferrule that is double-crimped onto a long hardwood handle with a natural finish.